Not only because they are excellent sound carriers. Often the so-called "black gold" is an irreplaceable collector's item. Even when great care is taken, in the long time it is inevitable that records get dirty. A gentle cleaning of the disc is particularly important to preserve its value. Reiner Gläss, the brain behind Audiodesksysteme, has developed a professional yet comfortable LP-washing machine – the "Vinyl-Cleaner". 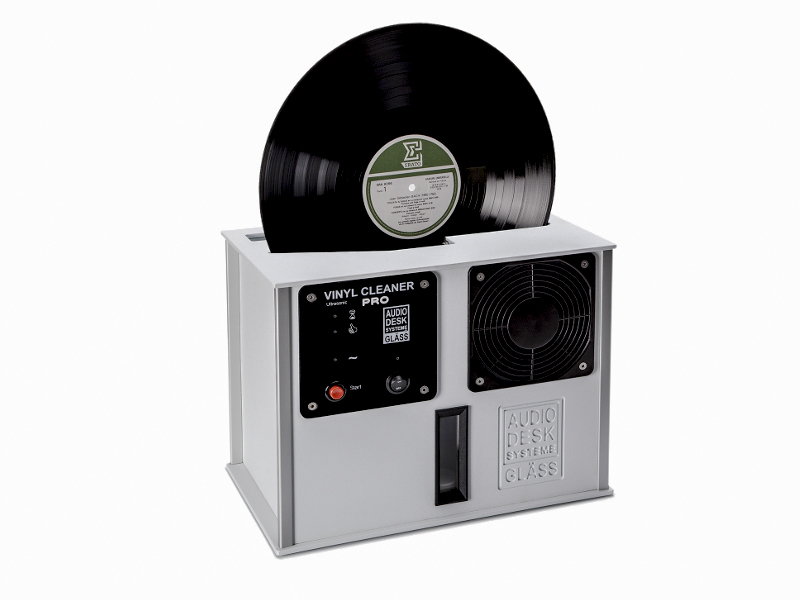 The Vinyl Cleaner is a fully automated machine that sets new standards in user-friendlyness. January 2016 has seen the release of the newest Vinyl Cleaner evolution stage: The Vinyl Cleaner PRO! The PRO-version features an independent drying process that is not coupled with the washing procedure, better water drainage and other improvements. Operating the Vinyl Cleaner PRO is very simple: Just insert the disc into the machine's opening and press the red button. A yellow LED lights up and the gentle cleaning process runs fully automatically. Thereby counter-rotating microfiber cleaning barrels and ultrasonic waves softly remove even deep-sitting dirt particles from the record grooves. During operation the machine permanently filters the cleaning fluid. Afterwards two special high-performance motors guarantee an effective drying procedure of the record – at very low volume levels. When, after a short period of time, the green LED lights up the cleaned disc can be removed from the apparatus. The Vinyl Cleaner PRO is available in the standard color version gray. Alternative color variants like white, redand black are available. All other colorsshowed on this site only serve demonstration purposes and are not commercially available.